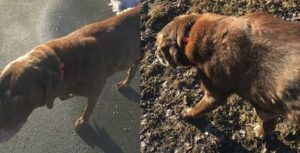 Additional Notes: FEMALE: Labrador Retriever, senior, chocolate coat, greying on face, wearing a reddish collar. Sighted roaming on Cec. 16/18.